Do You Know What A Swing Arm Cutting Machine is? 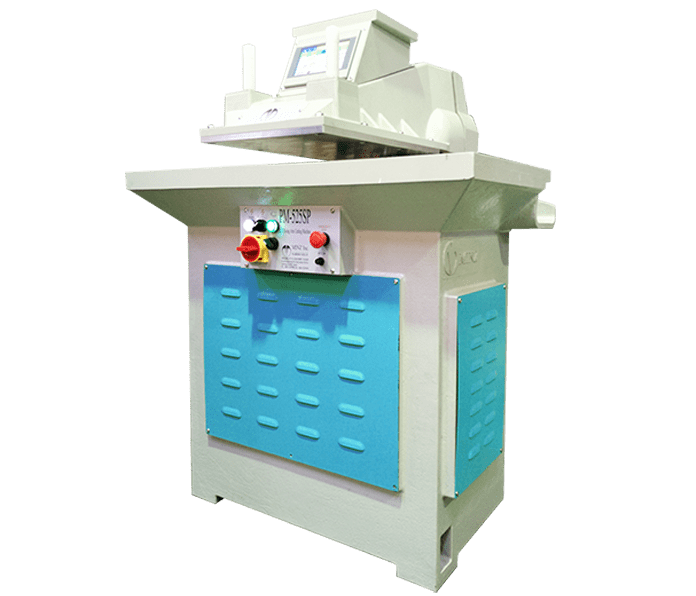 A hydraulic swing arm cutting machine is a highly efficient machine for the cutting of small parts in small and mean lot sizes. Swing arm cutting machines are highly efficient in all sizes of production. It applies in almost all application areas and you can find it in almost all industries from small saddlery up to great automotive suppliers. Equips with MINZ Energy System, consumes no energy when not cutting. Temperature of hydraulic fluid and motor is reduced 30%, and uses 70% less electricity comparing to traditional cutting machine. Configure cutting distance within 5 seconds with precision up to 0.5mm. Swinging requires less than 1kg strength, less fatigue to operate. Optional add-on Barcode Scan System to instantly set up each Cutting Die’s required cutting distance, Remote Manage System to centralize production data. Contact MINZ for More Swing Arm Cutting Machines! If you have any interest in MINZ hydraulic swing arm cutting machine or other shoe machine, please try to check out the website of MINZ. Get more specification and product information, welcome to send inquiry or contact them directly.